Fail Safe Actuators | Indelac Controls, Inc.
Electric actuators require a constant source of power to operate. Power outages can leave valve actuators stuck in the operating position (like mid-stroke) which, in some applications, can cause equipment damage, lead to accidents, or create unsafe conditions. Fail-safe actuators possess a mechanism that stores energy to drive the actuator to a predetermined ‘safe’ position when power loss is detected. Fail-safe actuators typically have two settings. They can be set to fail open, where the valve automatically reverts to the open position when power to the actuator is lost. Or the actuator can be set to fail closed, where the actuator moves the valve to the closed position—commonly referred to as an emergency shut-off valve (ESV). There are two types of fail-safe electric actuators: spring return electric actuators, and battery back-up (BBU) actuators. Although they serve the same purpose, they mainly differ in their operating principle. Spring return actuators rely on mechanical energy stored by a spring to snap the valve to the preset safe position. When utility power is provided to the actuator, it moves the valve to the normal operating position while simultaneously compressing a spring mechanism. When power is lost, the potential energy in the spring is released, causing the valve to fail to its pre-set condition. Since the spring is mechanically driven, spring return actuators are ideal for emergency shut down situations in industrial plants where power is unavailable. These actuators feature low installation requirements, minimal maintenance and operation cost, and a fast fail speed comparable to pneumatic or solenoid actuators. Most spring actuators have been safely tested to 27,000 automations and are, therefore, not suited for frequent heavy usage. Most of these actuators are not suitable for throttling or control applications. Battery back-up actuators provide an alternative power source to move the actuator to the fail position in the event of power loss. During standard operation, a sealed lead acid battery remains continuously charged via an internal trickle charger. Battery backup actuators provide a switch for field selectable fail-safe direction so one model can be used for both fail closed and fail open. These actuators are ideal for applications where limited installation space is available. The size of a battery backup actuator is smaller than its spring return counterpart and can be attached to shorter shafts. Backup battery actuators are capable of more than 1 million automations, can be used for throttling or control applications, and are half the cost of comparable spring return actuators. Battery replacements are required every four years. At Indelac Controls Inc. (ICI), we offer a diverse product line of spring return and battery backup fail-safe actuators to suit almost any application. Our industrial-grade spring return actuators are specially designed for quarter turn valve systems and HVAC dampers that require protection against catastrophic system failure resulting from power loss. 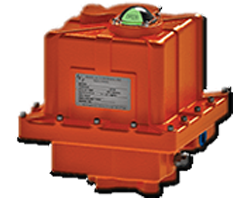 All our actuator units are housed in high quality, heavy-duty aluminum enclosures that meet or exceed NEMA 4 specifications. The housing exterior is coated with a thermally bonded ultraviolet resistant polyester powder coating for additional corrosion protection. Optional NEMA 7 explosion proof enclosures are available for use in flammable, ignitable, or explosive environments. We offer six different spring return actuator models to suit the varying needs of any application. Our product line covers an end torque capability range of 200 inch pounds up to 1,200 inch pounds. To view our fail-safe spring return actuator models, click here. Our battery back-up actuators ensure a secure, fail-safe mechanism by drawing power from our proprietary backup battery source during any sudden loss of power. Field adjustable fail open, fail closed, or continue standard modes give our users fully customizable control in emergency situations. Available in models ranging from 200 inch pounds of end torque up to 2,800 inch pounds, we can provide a suitable BBU actuator for nearly any application. 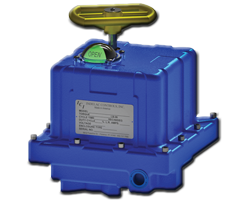 Similar to our spring return actuators, all BBU actuators in our product line are encased in NEMA 4 compliant enclosures for protection against dirt and water or can be optionally outfitted with our NEMA 7 explosion proof casings for operation in more hazardous environments. ICI also offers a range of proprietary external backup devices that can provide emergency power to actuators that do not possess their own internal backup power source. A selection of models are available in both AC & DC voltages and with output currents ranging from 3-30 Amps. Interested in learning more about our fail-safe actuators or need assistance in finding the right actuator for your needs? Contact our technical team or request a quote today.